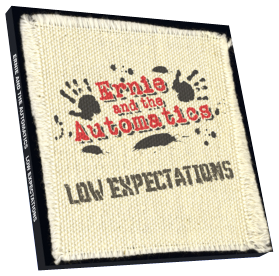 I’ve just been cranking some online samples of Low Expectations, the new album by Ernie And The Automatics, due early February on Open E records, the same label who released Extreme’s brilliant Saudades De Rock last year. The samples sound very cool, with some great guitar playing and a very solid rhythm section. CLICK HERE to preorder the CD direct from the band’s website. One of the highlights for many at NAMM this year was the performance by Paul Gilbert as part of Ibanez’s celebration of his 20 years as an endorser. Paul’s old band, Racer X, played a bunch of songs, and here is ‘Frenzy.’ Enjoy! 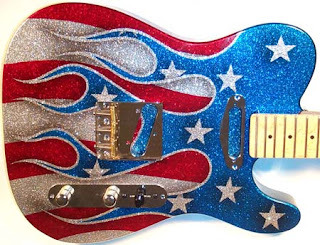 I found this clip on Blabbermouth.net, but you can see a whole bunch of great Paul Gilbert videos on this page of the Random Chatter Music blog. QUICK! Head over to this site right now (okay, finish reading this story first, then head over) to hear the first music from Chickenfoot, the supergroup featuring Joe Satriani, Sammy Hagar, Chad Smith and Mike Anthony. The music sounds quite live: Satch on the left, Mike on the right, sorta like the David Lee Roth era of Van Halen, now that I come to think of it. Oh and by the way, it appears they’ve decided to stick with the name Chickenfoot. Sammy mentioned in an interview recently that Chickenfoot was supposed to be a temporary name, but so many people knew about it that they may as well stick with it.